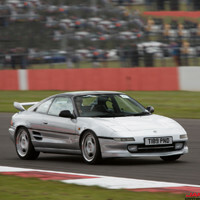 www.imoc.co.uk :: View topic - [Mk2] [Turbo] Setting up Blitz Duel Solenoid EBC. Posted: Wed Aug 08, 2018 7:17 pm Post subject: [Mk2] [Turbo] Setting up Blitz Duel Solenoid EBC. At has a Rev 3 tubby conversion. I’ve had a couple of EBC in the past but usually just use a good quality MBC. Now I’ve managed to set the Blitz dual solenoid EBC to some degree but tbh I am struggling to fine tune this if I’m being totally honest. I’m looking for 16 psi max and despite looking online I just can’t get the correct manual for the model of Blitz EBC I have. Can anybody help or advise? I’ve got the manual in English somewhere. It’s not that one buddy, I’ll see if I have a pic of it somewhere. Adjusting the boost is simple enough I’d just like to get to grips with what all the other functions are. Turned the boost down to 15.5 psi yesterday. This one buddy, dual solenoid. The setup process and settings are essentially the same as the one Matt linked anyway. I’ve turned the boost down again to 15 psi. Linking it to a Blitz power meter looks cool.